The year was 1940…. Winston Churchill had just become Prime Minister when Germany launched their attack westward – and the nightmare of a second world war became reality. The British Expeditionary Force had already been deployed in support of France and Belgium when advancing Nazi forces threatened to surround them. Their best chance of evading defeat would be a strategic withdraw to Dunkirk, while still in the midst of battle. The risks of an evacuation were high and time was short as a national call to prayer sounded in England. Narrated by Stuart Burgess, this inspiring docu-drama features animated maps and original film footage of war-time events. All new reenacted scenes dramatically bring to life the meaning and emotion of that uncertain time in history. William Potter describes the events of this pivotal beginning of World War II and highlights moments of Providence which helped bring victory from the midst of defeat. Stephen Keller brings added insight, pointing out significant details behind the famous evacuation, which was code named "Operation Dynamo." Operation Dynamo DVD by Stuart Burgess was published by Day One in March 2018 and is our 30071st best seller. The ISBN for Operation Dynamo DVD is 0602401832602. 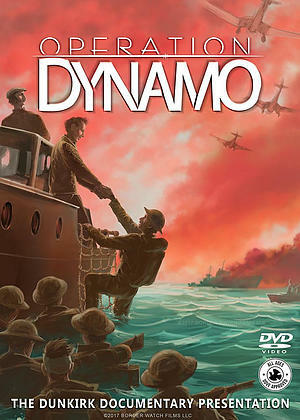 Be the first to review Operation Dynamo DVD! Got a question? No problem! Just click here to ask us about Operation Dynamo DVD.